Happy Thursday! I know a lot of you have been asking me what I think about Shein, since there are a LOT of mixed opinions on the internet. 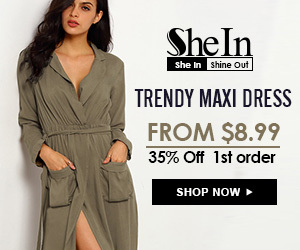 If you don’t know, Shein is an online clothing store that sells thousands of options for super low prices. We’re talking like a dress being $8 and a shirt being $5 kind of low prices.